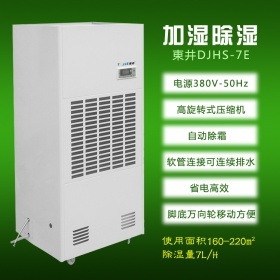 产品型号： HSB98FD 产品名称： 98升低湿度防潮柜【HSB98D】（10-20%RH） 产品特点： IC、BGA、精密电子组件、特殊化学药品、半导体器件、光学电子器件、印刷电路板、光学胶片及镜片、精密仪器及仪表等储存。 产品特性： 1.柜体采用1mm及1.2mm优质钢板制作，多处加强结构，承重性能好，重叠式结构设计，密封性能极佳。 2.表面处理采用先进的有18道工序组成的橘纹烤漆，耐腐蚀性强。 3.门镶3.2mm高强度钢化玻璃，防前倾耳式结构设计。带平面加压把手锁一体化设计,有防盗功能。底部安装可移动带刹车脚轮方便移动及固定（防静电机型脚轮为防静电）。 4.LED超高亮数码显示，温湿度传感器采用美国原装著名品牌honeywell，温湿度独立显示，使用寿命长。湿度可设定且具有记忆功能，断电后无需再设定。 5.湿度显示范围0%～99%RH,温度显示范围-9℃～99℃。显示精度:湿度±3%RH;温度±1℃ 6.机芯利用中外合作技术，采用进口吸湿材质。 7.行业内唯一一家拥有智能化控制系统的防潮箱。自动判断机器内湿度来决定工作时间，节省能源，延长产品使用寿命。主机外壳采用高温阻燃材料，杜绝安全隐患。 8.断电后仍可运用物理吸湿补位功能继续除湿，24小时内湿度上升不超过10%。 主要技术参数: 湿度范围：10%~20%RH 全自动可调 内径尺寸：W446*D372*H598mm 外形尺寸：W448*D400*H688mm 层板数量：1层 电源： 220V 50/60HZ 平均功率：18W 防静电柜子 防静电机型表面处理采用先进的防静电烤漆，静电阻值为106-108欧姆，美观大方，耐腐蚀性强.,机型颜色为黑色。 普通不防静电柜子颜色为电脑白，防静电柜子颜色为黑褐色。 Detailed Product Description Factory outlets Competitive price Beautiful, durable products High accurate humidity Good degree of homogeneity Product Name: HSFB98FD Low Humidity Drying Cabinet Scope of Application: IC, BGA, precision electronic components, special chemicals, semiconductor devices, optical and electronic components, printed circuit boards, optical film and lens, precision instruments and meters and other storage. Features: 1. 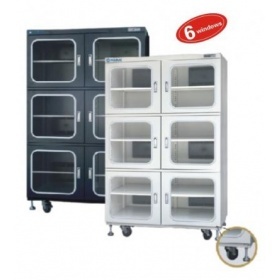 Cabinet with 1mm and 1.2mm high quality steel production, many strengthening the structure, load-bearing performance, overlay design, excellent sealing performance. 2. The use of advanced surface treatment procedure consisting of 18 lines orange paint, strong corrosion resistance. 3. 3.2mm high-strength tempered glass door inserts, anti-structure design of the former Qing Er. Integration with planar pressure lock handle design, with anti-theft feature. Install removable base with casters for easy mobility and fixed the brakes (anti-static model for the anti-static casters). 4.LED Super bright digital display, temperature and humidity sensors used by the U.S. original famous brand honeywell, temperature and humidity independent display, long life. 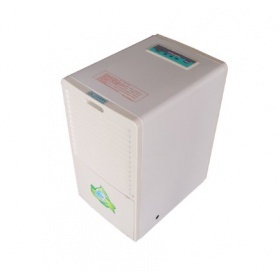 Humidity can be set and has a memory function, power failure no longer set. 5. 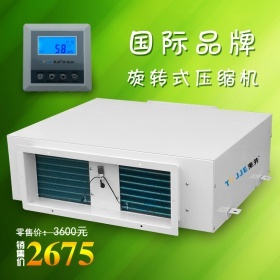 Humidity range 0% ~ 99% RH, temperature display range -9 °C ~ 99 °C. Display Accuracy: Humidity ± 3% RH; temperature ± 1 °C 6. 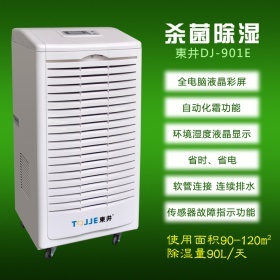 The movement by foreign cooperative technology, using imported material moisture. 7. 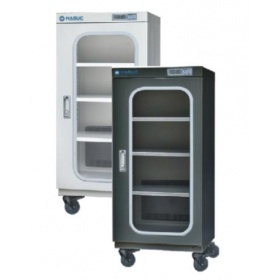 The industry's only intelligent control system with Cabinets. 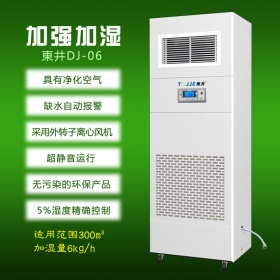 Automatically determine the humidity of the machine to determine the working time, save energy, extend product life. 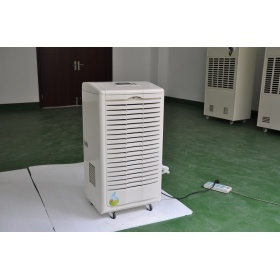 High temperature flame-retardant materials, the host shell to eliminate security risks. 8. 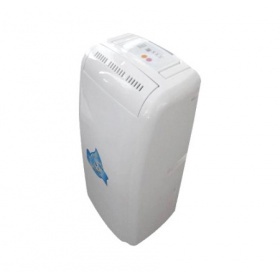 Power even after the use of physical function continued to fill the seats moisture and dampness, humidity increase within 24 hours of not more than 10%. 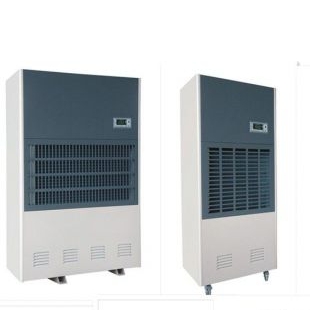 Technical parameters: Model: HSFB98FD Humidity range: 10% ~ 20% RH Type:automatic adjustable Capacity: 98L Interior Dimension (mm): W446*D372*H600mm Overall Dimension (mm): W448*D400*H690mm Shelves: 1 Pcs Power: 220V 50/60HZ Average Power: 18W ESD cabinets Anti-static surface models using advanced anti-static coating, static resistance is 106-108 ohms, nice, strong corrosion resistance., The color is black. 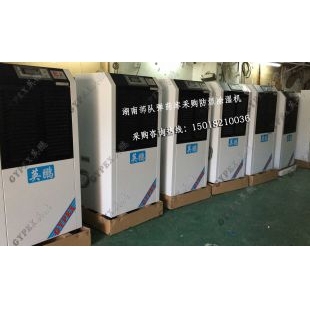 General color is not anti-static computer cabinets white, anti-static cabinet color is dark brown. 产品型号： HSB1436BFD 产品名称： 1436升低湿度防潮柜【HSB1436BD】（10-20%） 产品特点： IC、BGA、精密电子组件、特殊化学药品、半导体器件、光学电子器件、印刷电路板、光学胶片及镜片、精密仪器及仪表等储存。 产品特性： 1.柜体采用1mm及1.2mm优质钢板制作，多处加强结构，承重性能好，重叠式结构设计，密封性能极佳。 2.表面处理采用先进的有18道工序组成的橘纹烤漆，耐腐蚀性强。 3.门镶3.2mm高强度钢化玻璃，防前倾耳式结构设计。带平面加压把手锁一体化设计,有防盗功能。底部安装可移动带刹车脚轮方便移动及固定（防静电机型脚轮为防静电）。 4.LED超高亮数码显示，温湿度传感器采用美国原装著名品牌honeywell，温湿度独立显示，使用寿命长。湿度可设定且具有记忆功能，断电后无需再设定。 5.湿度显示范围0%～99%RH,温度显示范围-9℃～99℃。显示精度:湿度±3%RH;温度±1℃ 6.机芯利用中外合作技术，采用进口吸湿材质。 7.行业内唯一一家拥有智能化控制系统的防潮箱。自动判断机器内湿度来决定工作时间，节省能源，延长产品使用寿命。主机外壳采用高温阻燃材料，杜绝安全隐患。 8.断电后仍可运用物理吸湿补位功能继续除湿，24小时内湿度上升不超过10%。 主要技术参数: 湿度范围：10%~20%RH 全自动可调 内径尺寸：W1198*D682*H1728mm 外形尺寸：W1200*D710*H1915mm 层板数量：5层 电源： 220V 50/60HZ 平均功率：80W 防静电柜子 防静电机型表面处理采用先进的防静电烤漆，静电阻值为106-108欧姆，美观大方，耐腐蚀性强.,机型颜色为黑色。 普通不防静电柜子颜色为电脑白，防静电柜子颜色为黑褐色。 Detailed Product Description Factory outlets Competitive price Beautiful, durable products High accurate humidity Good degree of homogeneity Product Name:HSFB1436BFD Low Humidity Drying Cabinet Scope of Application: IC, BGA, precision electronic components, special chemicals, semiconductor devices, optical and electronic components, printed circuit boards, optical film and lens, precision instruments and meters and other storage. Features: 1. 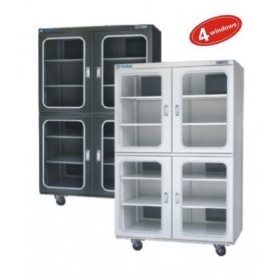 Cabinet with 1mm and 1.2mm high quality steel production, many strengthening the structure, load-bearing performance, overlay design, excellent sealing performance. 2. The use of advanced surface treatment procedure consisting of 18 lines orange paint, strong corrosion resistance. 3. 3.2mm high-strength tempered glass door inserts, anti-structure design of the former Qing Er. Integration with planar pressure lock handle design, with anti-theft feature. Install removable base with casters for easy mobility and fixed the brakes (anti-static model for the anti-static casters). 4.LED Super bright digital display, temperature and humidity sensors used by the U.S. original famous brand honeywell, temperature and humidity independent display, long life. 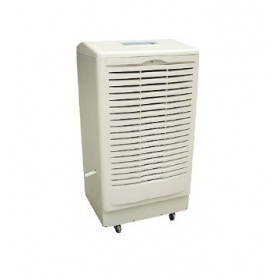 Humidity can be set and has a memory function, power failure no longer set. 5. 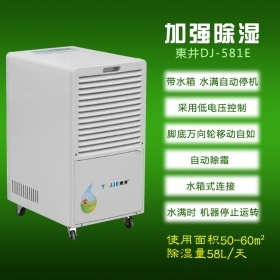 Humidity range 0% ~ 99% RH, temperature display range -9 °C ~ 99 °C. Display Accuracy: Humidity ± 3% RH; temperature ± 1 °C 6. 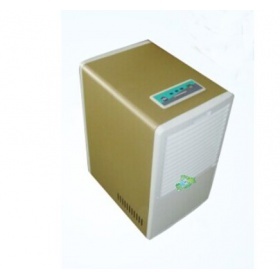 The movement by foreign cooperative technology, using imported material moisture. 7. 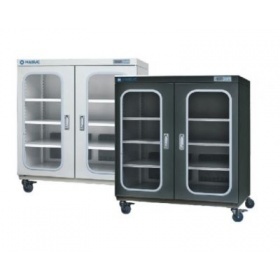 The industry's only intelligent control system with Cabinets. 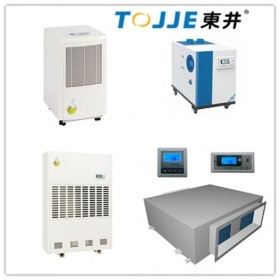 Automatically determine the humidity of the machine to determine the working time, save energy, extend product life. 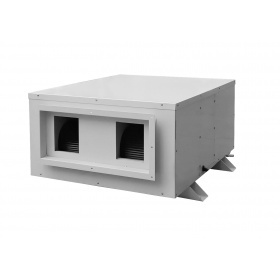 High temperature flame-retardant materials, the host shell to eliminate security risks. 8. 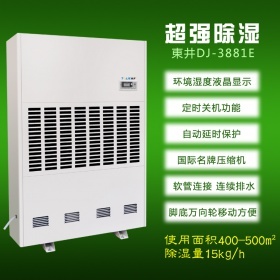 Power even after the use of physical function continued to fill the seats moisture and dampness, humidity increase within 24 hours of not more than 10%. 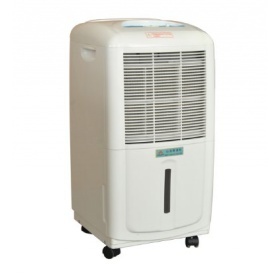 Technical parameters: Model: HSFB1436BFD Humidity range: 10% ~ 20% RH Type:automatic adjustable Capacity: 1436L Interior Dimension (mm): W1198*D682*H1728mm Overall Dimension (mm): W1200*D710*H1915mm Shelves: 5 Pcs Power: 220V 50/60HZ Average Power: 80W ESD cabinets Anti-static surface models using advanced anti-static coating, static resistance is 106-108 ohms, nice, strong corrosion resistance., The color is black. General color is not anti-static computer cabinets white, anti-static cabinet color is dark brown. 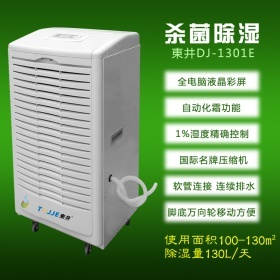 产品型号： HSC1436BD 产品名称： 1436升超低湿防潮柜【HSC1436BD】(1-10%) 产品特点： IC、BGA、精密电子组件、特殊化学药品、半导体器件、光学电子器件、印刷电路板、光学胶片及镜片、精密仪器及仪表等储存。 产品特性： 1.柜体采用1mm及1.2mm优质钢板制作，多处加强结构，承重性能好，重叠式结构设计，密封性能极佳。 2.表面处理采用先进的有18道工序组成的橘纹烤漆，耐腐蚀性强。 3.门镶3.2mm高强度钢化玻璃，防前倾耳式结构设计。带平面加压把手锁一体化设计,有防盗功能。底部安装可移动带刹车脚轮方便移动及固定(防静电机型脚轮为防静电)。 4.LED超高亮数码显示，温湿度传感器采用美国原装著名品牌honeywell，温湿度独立显示，使用寿命长。湿度可设定且具有记忆功能，断电后无需再设定。 5.湿度显示范围0%～99%RH,温度显示范围-9℃～99℃。显示精度:湿度±3%RH;温度±1℃ 6.机芯利用中外合作技术，采用进口吸湿材质。 7.行业内唯一一家拥有智能化控制系统的防潮箱。自动判断机器内湿度来决定工作时间，节省能源，延长产品使用寿命。主机外壳采用高温阻燃材料，杜绝安全隐患。 8.断电后仍可运用物理吸湿补位功能继续除湿，24小时内湿度上升不超过10%。 主要技术参数: 湿度范围：1%~10%RH 全自动可调 内径尺寸：W1198*D682*H1728mm 外形尺寸：W1200*D710*H1915mm 层板数量：5层 电源： 220V 50/60HZ 平均功率：120W 防静电柜子 防静电机型表面处理采用先进的防静电烤漆，静电阻值为106-108欧姆，美观大方，耐腐蚀性强.,机型颜色为黑色。 普通不防静电柜子颜色为电脑白，防静电柜子颜色为黑褐色。 Detailed Product Description Made in Shanghai, China Factory outlets Competitive price High accurate humidity Good degree of homogeneity Product Name: HSFC1436BFD Ultra-low Humidity Drying Cabinet Scope of Application: IC, BGA, precision electronic components, special chemicals, semiconductor devices, optical and electronic components, printed circuit boards, optical film and lens, precision instruments and meters and other storage. Features: 1. 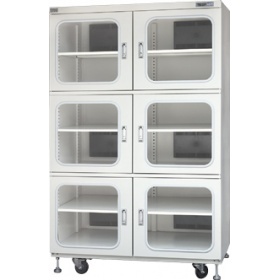 Cabinet with 1mm and 1.2mm high quality steel production, many strengthening the structure, load-bearing performance, overlay design, excellent sealing performance. 2. The use of advanced surface treatment procedure consisting of 18 lines orange paint, strong corrosion resistance. 3. 3.2mm high-strength tempered glass door inserts, anti-structure design of the former Qing Er. Integration with planar pressure lock handle design, with anti-theft feature. Install removable base with casters for easy mobility and fixed the brakes (anti-static model for the anti-static casters). 4.LED Super bright digital display, temperature and humidity sensors used by the U.S. original famous brand honeywell, temperature and humidity independent display, long life. 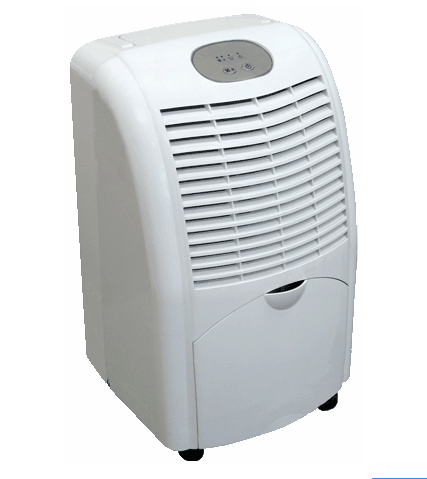 Humidity can be set and has a memory function, power failure no longer set. 5. 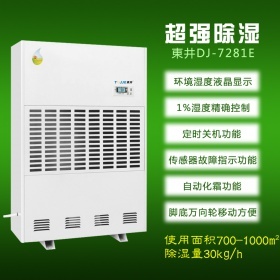 Humidity range 0% ~ 99% RH, temperature display range -9 °C ~ 99 °C. Display Accuracy: Humidity ± 3% RH; temperature ± 1 °C 6. 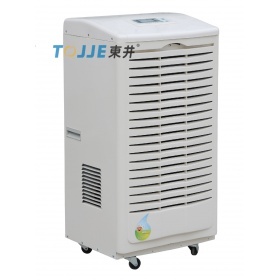 The movement by foreign cooperative technology, using imported material moisture. 7. 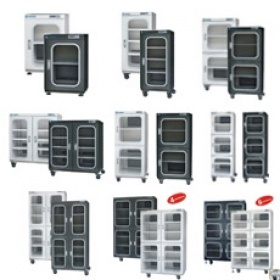 The industry's only intelligent control system with Cabinets. 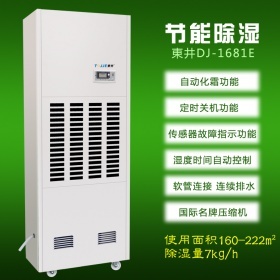 Automatically determine the humidity of the machine to determine the working time, save energy, extend product life. High temperature flame-retardant materials, the host shell to eliminate security risks. 8. 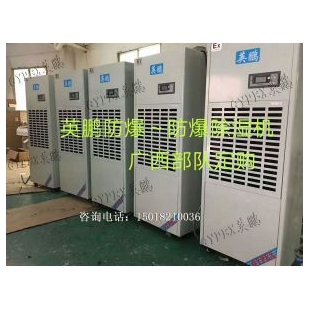 Power even after the use of physical function continued to fill the seats moisture and dampness, humidity increase within 24 hours of not more than 10%. 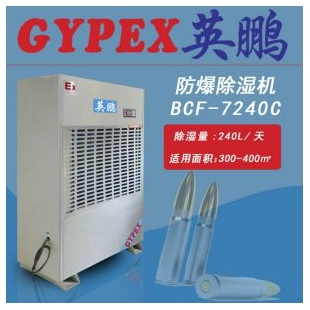 Technical parameters: Model: HSFC1436BFD Humidity range: 1% ~ 10% RH Type:automatic adjustable Capacity: 1436L Interior Dimension (mm): W1198*D682*H1728mm Overall Dimension (mm): W1200*D710*H1915mm Shelves: 5 Pcs Power: 220V 50/60HZ Average Power: 120W ESD cabinets Anti-static surface models using advanced anti-static coating, static resistance is 106-108 ohms, nice, strong corrosion resistance., The color is black. General color is not anti-static computer cabinets white, anti-static cabinet color is dark brown. 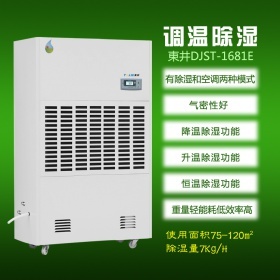 产品型号： HSB160FD 产品名称： 160升低湿度防潮柜【HSB160D】（10-20%RH） 产品特点： IC、BGA、精密电子组件、特殊化学药品、半导体器件、光学电子器件、印刷电路板、光学胶片及镜片、精密仪器及仪表等储存。 产品特性： 1.柜体采用1mm及1.2mm优质钢板制作，多处加强结构，承重性能好，重叠式结构设计，密封性能极佳。 2.表面处理采用先进的有18道工序组成的橘纹烤漆，耐腐蚀性强。 3.门镶3.2mm高强度钢化玻璃，防前倾耳式结构设计。带平面加压把手锁一体化设计,有防盗功能。底部安装可移动带刹车脚轮方便移动及固定（防静电机型脚轮为防静电）。 4.LED超高亮数码显示，温湿度传感器采用美国原装著名品牌honeywell，温湿度独立显示，使用寿命长。湿度可设定且具有记忆功能，断电后无需再设定。 5.湿度显示范围0%～99%RH,温度显示范围-9℃～99℃。显示精度:湿度±3%RH;温度±1℃ 6.机芯利用中外合作技术，采用进口吸湿材质。 7.行业内唯一一家拥有智能化控制系统的防潮箱。自动判断机器内湿度来决定工作时间，节省能源，延长产品使用寿命。主机外壳采用高温阻燃材料，杜绝安全隐患。 8.断电后仍可运用物理吸湿补位功能继续除湿，24小时内湿度上升不超过10%。 主要技术参数: 湿度范围：10%~20%RH 全自动可调 内径尺寸：W446*D422*H853mm 外形尺寸：W448*D450*H1015mm 层板数量：3层 电源： 220V 50/60HZ 平均功率：18W 防静电柜子 防静电机型表面处理采用先进的防静电烤漆，静电阻值为106-108欧姆，美观大方，耐腐蚀性强.,机型颜色为黑色。 普通不防静电柜子颜色为电脑白，防静电柜子颜色为黑褐色。Detailed Product Description Factory outlets Competitive price Beautiful, durable products High accurate humidity Good degree of homogeneity Product Name:HSFB160FD Low Humidity Drying Cabinet Scope of Application: IC, BGA, precision electronic components, special chemicals, semiconductor devices, optical and electronic components, printed circuit boards, optical film and lens, precision instruments and meters and other storage. Features: 1. 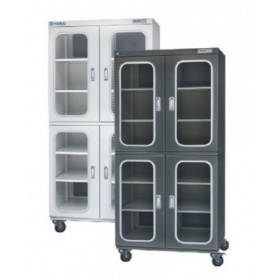 Cabinet with 1mm and 1.2mm high quality steel production, many strengthening the structure, load-bearing performance, overlay design, excellent sealing performance. 2. The use of advanced surface treatment procedure consisting of 18 lines orange paint, strong corrosion resistance. 3. 3.2mm high-strength tempered glass door inserts, anti-structure design of the former Qing Er. 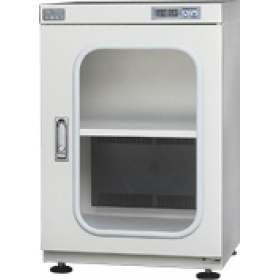 Integration with planar pressure lock handle design, with anti-theft feature. Install removable base with casters for easy mobility and fixed the brakes (anti-static model for the anti-static casters). 4.LED Super bright digital display, temperature and humidity sensors used by the U.S. original famous brand honeywell, temperature and humidity independent display, long life. 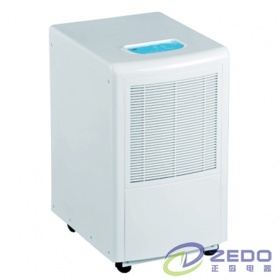 Humidity can be set and has a memory function, power failure no longer set. 5. 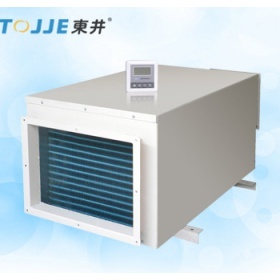 Humidity range 0% ~ 99% RH, temperature display range -9 °C ~ 99 °C. Display Accuracy: Humidity ± 3% RH; temperature ± 1 °C 6. 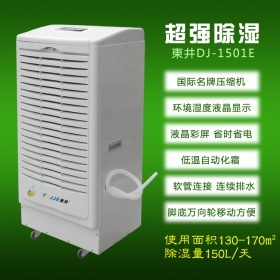 The movement by foreign cooperative technology, using imported material moisture. 7. 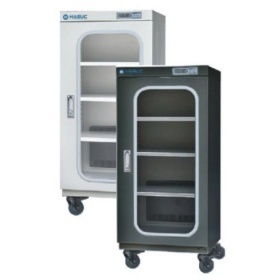 The industry's only intelligent control system with Cabinets. 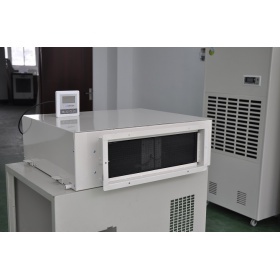 Automatically determine the humidity of the machine to determine the working time, save energy, extend product life. 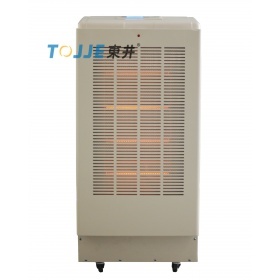 High temperature flame-retardant materials, the host shell to eliminate security risks. 8. 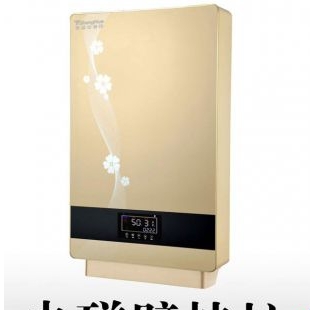 Power even after the use of physical function continued to fill the seats moisture and dampness, humidity increase within 24 hours of not more than 10%. 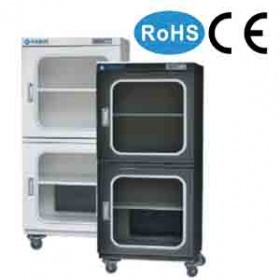 Technical parameters: Model: HSFB160FD Humidity range: 10% ~ 20% RH Type:automatic adjustable Capacity: 160L Interior Dimension (mm): W446*D422*H853mm Overall Dimension (mm): W448*D450*H1015mm Shelves: 3 Pcs Power: 220V 50/60HZ Average Power: 18W ESD cabinets Anti-static surface models using advanced anti-static coating, static resistance is 106-108 ohms, nice, strong corrosion resistance., The color is black. 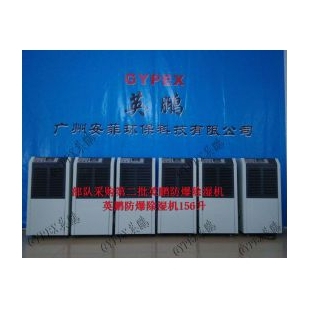 General color is not anti-static computer cabinets white, anti-static cabinet color is dark brown.